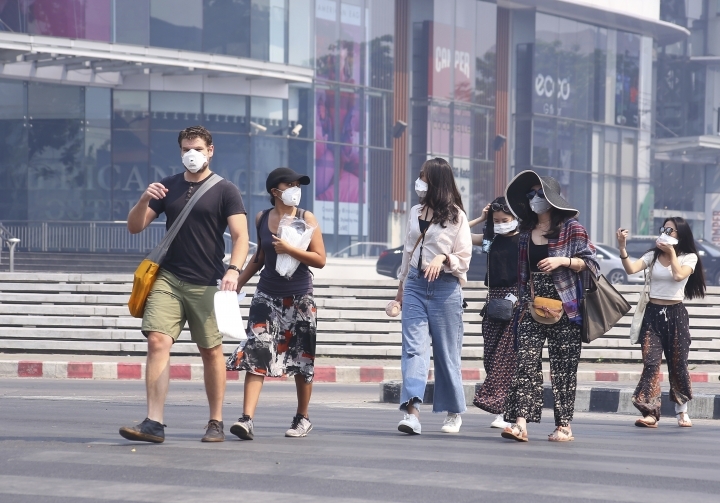 CHIANG MAI, Thailand — The air hanging over Thailand's far north has become so polluted, the prime minister went Tuesday to see in person what is being called a severe health crisis. Prime Minister Prayuth Chan-ocha arrived by helicopter at an army base in Chiang Mai, a popular tourist destination where seasonal haze has been unusually bad and prolonged this year. The thick gray smoky air has largely hidden the forested mountains that surround the city, and many schools have closed. Pollution levels have soared into the hazardous zone and remained there for many weeks, putting the city at the top of the list of the world's most polluted cities on many days, although readings often fluctuate by time of day. Much of the current pollution has been caused by the burning of forest undergrowth by villagers to make it easier to gather mushrooms and other products for sale. The burning often occurs at night, lighting the sky but making it hard to catch the perpetrators. The city is especially vulnerable because the mountains that surround it trap the pollution. The problem has been worse this year because of a drier-than-usual dry season. In several weeks, farmers are expected to start burning corn fields to clear them for planting, prolonging the pollution. Prayuth handed out firefighting supplies such as hoes and told local military personnel and firefighters that he traveled to Chiang Mai to show his support. He met with representatives from eight northern provinces at an ad-hoc regional pollution monitoring center and said the fires must be controlled within seven days. "We need to work on a long-term solution with understanding from the public," he said. "We need time to change the way we grow crops and farm. Tens of millions of people could be affected. It could create confusion and chaos. We will work on the immediate problems and plan for long-term solutions." There has been widespread criticism of the government's response so far, with about 40,000 people signing a Change.org petition calling for the governor's replacement. The local government has been hesitant to declare a state of emergency, in part because of the possible impact on tourism. 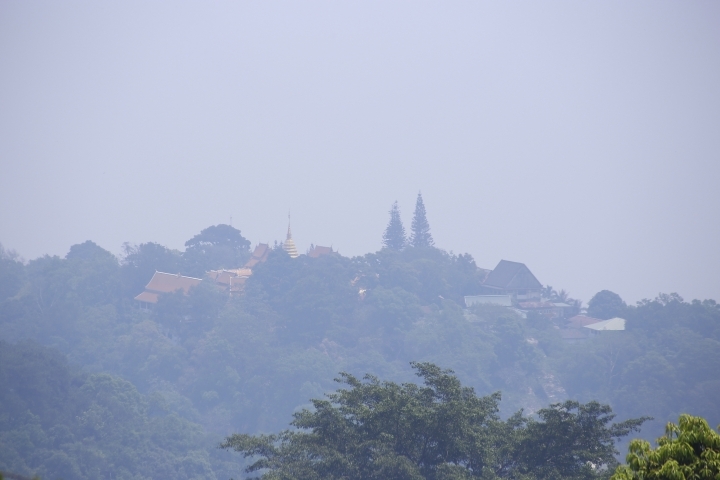 Levels of tiny airborne particulates known as PM2.5 in Chiang Mai and surrounding areas exceed 300 mcg. on many days, six times the Thai safety limit, and have peaked at about 700. PM2.5 particulates are small enough to be sucked deep into the lungs and enter the bloodstream, and can cause respiratory problems and over time may raise risks of cardiovascular disease and cancers. Khuanchai Supparatpinyo, director of the Research Institute of Health Sciences at Chiang Mai University, told The Associated Press that Chiang Mai province has endured the annual phenomenon known as "dust season" for more than a decade. The haze used to hit from about February to March, but Khuanchai said in recent years it can last up to five months due to worsening conditions such as drier air and industrial farming. In January, more than 400 schools in the capital, Bangkok, were shut for a week when the PM2.5 level was around 70 to 120 mcg. Bangkok's governor responded by declaring the city a "pollution control zone," allowing measures such as road closings and limits on diesel exhaust, outdoor burning and construction activities. Air quality in Bangkok, Thailand's largest city, has been mostly at moderate levels since then, a concern mainly for people with sensitivities such as existing lung conditions. Tassanee reported from Bangkok. Associated Press writer Kaweewit Kaewjinda in Bangkok contributed to this report.